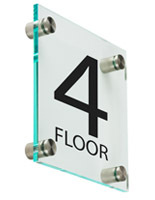 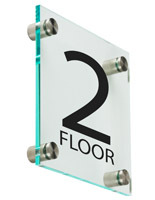 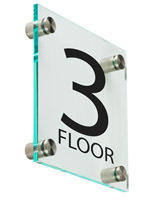 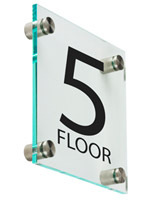 This floor 1 wall sign is an easy, economical way to add stylish wayfinding signage to any environment. 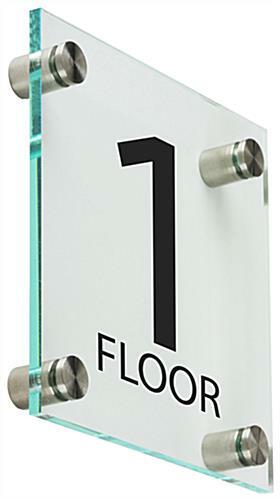 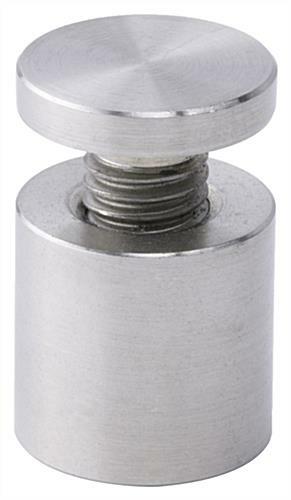 Each contemporary-design labeling fixture features a 6" square clear acrylic panel with green-edges that comes with four 1-inch deep through-grip mounting standoffs. 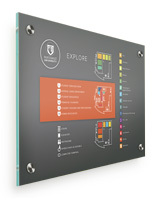 This preprinted First Floor wall sign is designed for easy installation on walls and other vertical surfaces to communcate wayfinding information to people arriving. 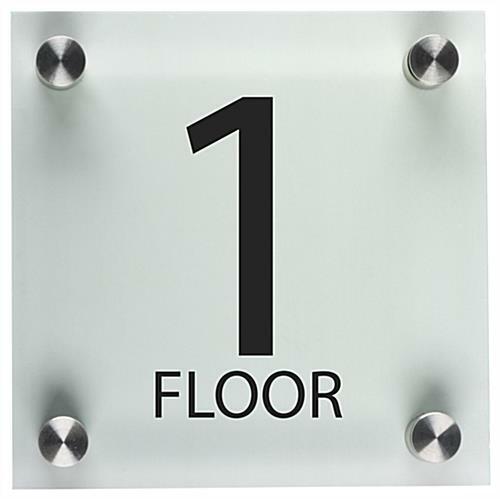 Bold black lettering is printed on each sign using a UV process that is durable and fade-resistant. 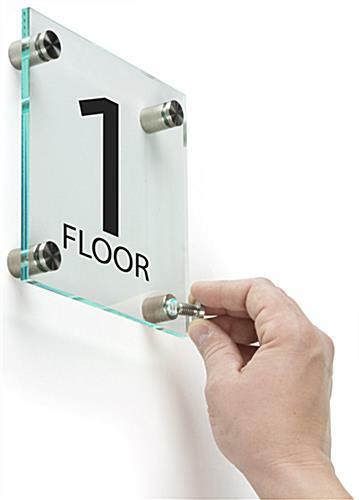 This green-edge acrylic landing or entryway wall sign looks like expensive tempered glass, but is made of economical lightweight acrylic. 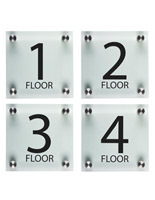 Each high visibility fixture is designed as a simple way to communicate to location information to customers, patrons, and other visitors to business, commercial, or corporate buildings.